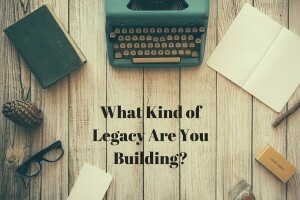 Have you ever thought about the phrase, “leaving a legacy”? What does it mean to you? It has been almost 2 weeks since my brother-in-law unexpectedly passed away. Not a day goes by that I am not thinking about him and the legacy that he left behind. Within the first 24 hours of his passing, my sister’s home church opened up their doors to the media department for people to come by and make a video for my sister and nephews. The days leading up to the funeral, young men, and families came by to share about the impact that Patrick made on their lives. Over two years ago, Patrick was challenged by God to start a discipleship group with some young men who were in high school. He had been a 5th grade boys Sunday school teacher for over 5 years and as they grew older he would occasionally meet with them. So as many of them entered their teenage years they became a natural fit for this discipleship group. About 15-30 guys met about once a month to study the Bible, theology, practical spiritual disciples, worldview and some of the hard truths from the Bible. We would talk at family gatherings about what they were learning in the discipleship group. Patrick was not satisfied with just doing a Bible study that did not challenge them to rise up and become men of God. When the funeral plans were being made, my sister wanted these young men to wear white shirts signifying their commitment to purity and to be men of God. Their lives are forever changed because of Patrick. This is part of the legacy that he left. We often think that in order to leave a legacy you must be older, have lots of money and donate most of that to a chosen charity. Leaving a legacy does not have anything to do with money or how long you live. It is about WHO you are investing your life into. While Patrick did not live a very long life (30 short years), he invested it in his family, friends, and the young men whom he diligently discipled and poured his life into. This was not thousands of people but individuals that he invested in. These young men are the legacy that he left behind. While Patrick did not speak to thousands of people or give millions of dollars away, he is leaving behind a legacy that will impact thousand and affect future generations. How he loved his wife (my sister), his 3 boys, and taught them about Christ is also his legacy. These 3 sons will carry on his name. As they grow older, they will hear these stories. Maybe even one of the young men whom he discipled will in turn invest their life into Patrick’s children. His family, the young men he discipled, the way he lived, loved and did life are his legacy. We will dive into this topic more head-on in the upcoming weeks. Here are two videos of stories of how God used Patrick. 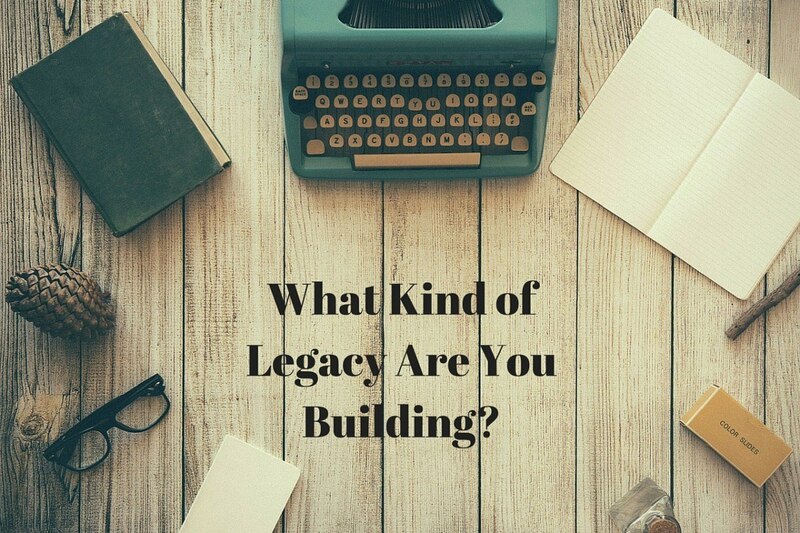 I would love to hear what you are doing to build a legacy in the comment section! I’m so sorry for your loss. What an incredible tribute to Patrick. I love what Kirby said, “It is not so much about the accomplishments but the relationship and impact.” It’s clear from the videos and your post that Patrick connected in meaningful ways, with many people. Thanks for the important reminder of how valuable building into the lives of others is. Jed, Thank you for you thoughts and prayers for our family. This event has taught me a lot about investing in others, and the importance of our lives here on earth. It is still amazing hearing the stories of the people whose lives were influence by my brother-in-law. You have my deepest, sincerest sympathy. I have thought a lot about this after my grandfather passed in 2009, and I guess it never really has left my thoughts. A legacy is an impact a person has that continues without dissolving over a period and still has an affect on people even after they have left. As a result, I have tried to live a life that would honor my greatest influences. Attempting to live in a way that complements the best of them and carry on their teachings. I guess you could say this is carrying the legacy forward. I realized legacies are built upon authenticity and relationships. People are truly compassionate, caring and give more of themselves but expect nothing in return. They impact the lives of those that are in need and don’t pass up an opportunity to help someone. It is not so much about the accomplishments but the relationship and impact. When teaching this to others lately I have been encouraging them to invest themselves in other people. Your right relationships are key. Time is the most precious commodity and we should use that to invest in others.